We are hosting a virtual Sew-In, but this time, it’s not snowing outside, it’s too HOT outside! The NJMQG Sew For The Gold Sew-In is this Sunday, August 14th from 11am to 5pm. Stay inside, watch the Olympics and SEW! We will be posting on Instagram using the hashtag #njmqgsewforthegold. Show us what you are working on! You can also post on Facebook. This is a great time to sew up a charity backpack for next week’s meeting! Read about it here. Links to the backpack pattern are here and free on Craftsy. 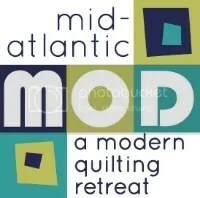 Also, next week, the MQG is having an MQG Sew Day! “Who says we have to be in the same place to sew together? You’re invited to a virtual sew day with MQG members around the world using Instagram stories. ← July 2016 Meeting Recap! !